Perth Old Mattress Removal & Recycling | 1800-GOT-JUNK? An old mattress is a pain in the neck, not only figuratively but literally as well. When you find that it is time to replace your mattress, you need to find a new one. This might seem like the most difficult part of the process, but you might find otherwise when you get the new mattress home. Getting rid of an old mattress can be more trouble than finding a new one to purchase. In most places, including Perth, you can't just put an old mattress out by the curb for the trash service to pick up. Even if this is an option, you might not want to have the large, bulky item take up space in the landfill. Fortunately, you do have another option. You can hire a mattress disposal and recycling company in Perth to take care of the problem. Contacting 1-800-GOT-JUNK? is likely going to be one of the easiest ways you can find to remove an old mattress from your property. Setting everything up is easy. You just make the appointment and the mattress removal professionals will stop by your Perth location during the allotted time period to pick up the old mattress. Once they have it, your worries are over and the mattress is taken away to be recycled into useful goods. Around 90 percent of each mattress is recoverable, meaning that it can be recycled. Some people opt to get rid of mattresses after a bedbug infestation. The difficulty that comes with making this happen is even greater than with a mattress that isn't infested. 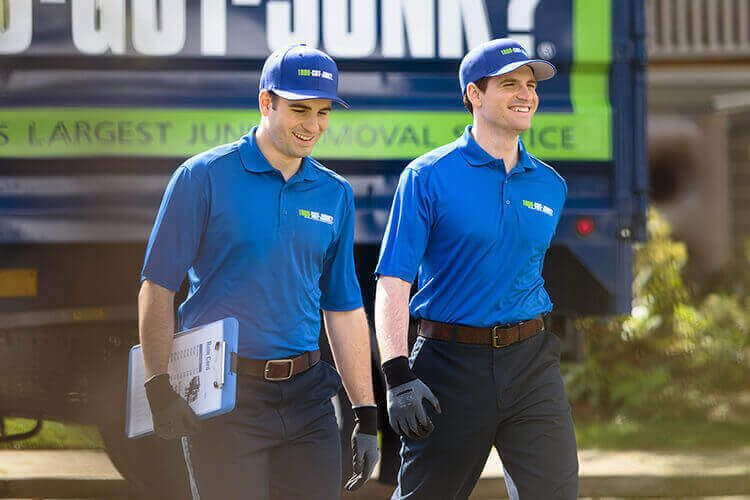 The professionals at 1-800-GOT-JUNK? have you covered. All you need is to have the mattress treated and wrapped by a certified pest control company so that we can stop by and pick up the old mattress. Once the mattress is out of your home, you can rest easy knowing that one possible source of infestation is gone. With a process this easy, there isn't any reason to put it off any longer. Somewhere around 50,000 mattresses find their way to the landfills each year in this country. That's a total of around 18 million each year. You can imagine what impact this has on the landfill capacity. By choosing to recycle your old mattress, you are taking action to help the Earth. Some of the components of mattresses that can be recycled include the fabric, foam, wood, metal, and plastic. The foam and fabric can become carpet underlayment. Cotton and felt can be recycled into insulation. Wood can be turned into other wooden goods or processed into biofuel. The metal and plastic are treated in the same manner as other goods of this type. Let's face it – trying to figure out what to do with any unwanted items that are too bulky for the trash removal service can be a challenge. Making an appointment with 1-800-GOT-JUNK? provides an easy solution. You make the appointment and point out what you want our professionals to haul away and handle in a responsible manner.